Tanzanian popular singer, Ali Kiba is reportedly cheating on his recently-wedded wife. Reports according to another Tanzanian video vixen, Sasha Kassim, claim that the ‘Aje’ hitmaker is begging her to have a relationship with him. Sasha claims that Kiba has been trying hard to have an affair with her. The rumors were made public by Sasha Kassim’s close friend, who said that Kiba was hitting on her friend. “Do you know Kiba is hitting on Sasha? Sometimes they contact each other at night. I will bring you proof of their chats so you can know it is real,” said the video vixen friend. Also, Sasha has confirmed that Kiba is actually following her up. The video vixen says that it is Ali Kiba who has been hitting on her and pushing her to have a romantic relationship with her. Whoever, Sasha claims that she is not interested in a relationship with the singer at all. She brushed any possibility of having a romantic relationship with a local entertainer. Not even one in Africa. Instead, Sasha claims that she can only date the likes of Chris Brown. Furthermore, she claims that many other Tanzanian musicians are bugging her. But Ali Kiba doesn’t acknowledge the reports from the video vixen and her friend. He denied the allegations and stated that he is not the kind of guy who chats with people anyhow. “I do not have the habit of chatting with people aimlessly.” Said the Nakshi Mrembo hitmaker. 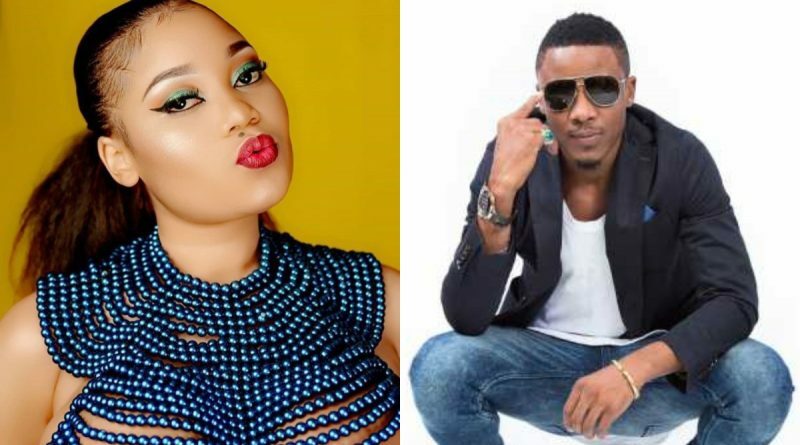 This rumor comes a day after Tanzanian singer and socialite, Kidoti Baby claimed that Ali Kiba is among those celebrities that wanted to have sexual relation with her. She went on to claim that Kiba asked for sexual favors, but he bolted when Kidoti demanded him to pay for it. Kidoti claims that Kiba started to chat with her after he saw her twerking. She tried to resist, but when Ali Kiba persisted, she decided to ask him for money in return. Kidoti asked for Tsh2 million, which is equivalent to Ksh88,200. After that, Kidoti claims that Kiba refused to pay and said he is a big star and can get any woman she desires. Surprisingly, Ali Kiba just got married to one beautiful Kenyan lady, Amina Khalef in April 2018. The two announced their first child to the public just recently. It is not clear if the rumors are true or not. But Sasha’s friend claims she will expose the conversation of the two. Until then, we can’t tell if Kiba is guilty or not.